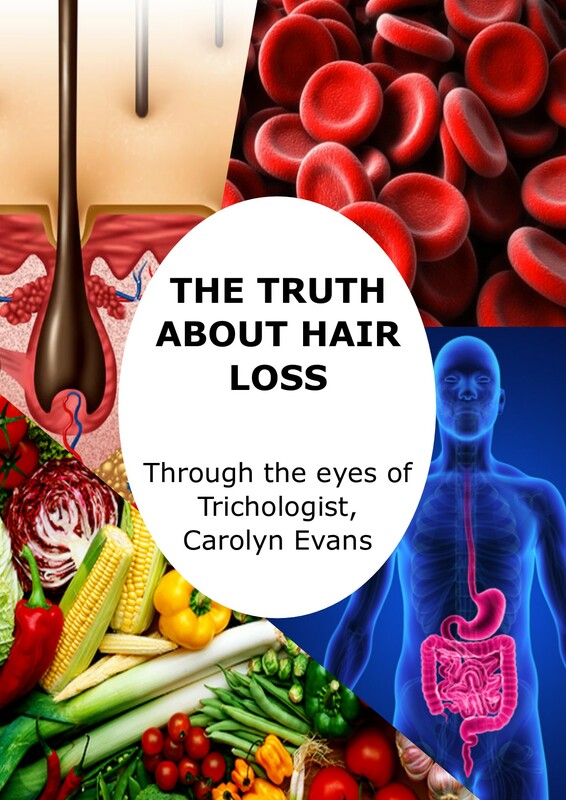 Here is an amazing story of a woman’s hair loss treatment journey to share how accurate diagnosis can get to the root of the hair thinning issue. A lot of the time when people experience hair loss from a past stressful event, it can end up with global hair thinning (diffuse). When you are in the dark about why your hair thinning is occurring, it can look like ongoing hair loss. Putting your hair and scalp under microscopic imaging will be able to help enlighten you of what is actually happening. 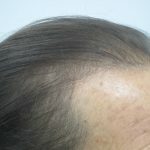 In this particular case, we were able to establish underlying causes of her hair loss, which was due to a long period of stress which impacted her health and also her hair growth. When the stressful period had passed and blood results were reviewed and came back to a relatively normal range, we were able to provide succinct solutions to facilitate normal hair growth. The foremost concern that we had to address was correcting the hair cycle on a cellular level. Constant hair thinning reveals that the needed nutrition is not arriving at the hair cell to be able to easily grow healthy hair. 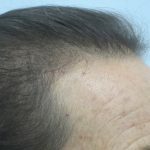 In the initial appointment we talk about steps for each individual to pin point the causes and also symptoms of your hair loss or hair thinning issue. Only using safe ingredients in our basic topical program, we first stabilise the hair cycle through a regular, safe and systematic hair washing regime which also results in a healthy happy scalp. Secondly, but just as importantly is supporting your inner health at a cellular level, called Nutritional Therapy. This way the body receives the proper nutrients it requires with ample nutrients left over to assist in growing healthy strong hair. As it can be difficult due to our lifestyle to get all nutrients required through food alone, let alone at a stage where our body is receiving ample nutrition to assist in proper hair growth, we recommend using supplements for the first four months to ensure your body gets the boost of nutrients it requires. The result is better energy levels, healthy hair and overall wellness. The strategy was to switch up the basic hair wash regime into a topical hair loss treatment every second day, this in turn, helped in clearing up oily and scaly scalp. Our Nutritional Therapy plan consists of 2 green drinks daily with a combination of nutritional powders, capsules, liquids and tablets on an empty hungry stomach. Testing general body pH and looking at blood results also ensures all is in order, and we are able to properly track your progress each four-month period. Just have a look at this happy Women’s Hair Loss treatment success story in the first four months of treatment. 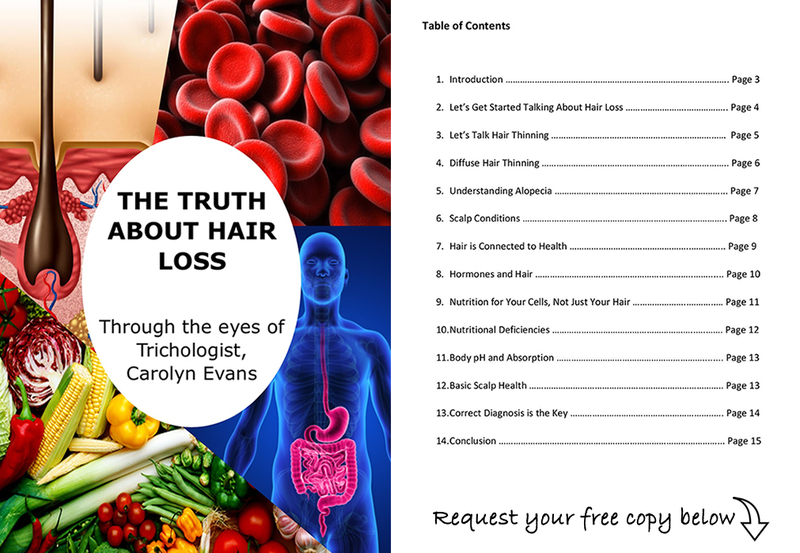 Do you have your own Women’s hair loss treatment story to share? We are always here at Absolique Hair Health Clinic Sydney to answer any questions you have about our holistic hair loss treatments. Email Absolique Trichologist Sydney at info@absolique.com.au or call us on 02 8014 6916.